Franklin Roosevelt’s fiercest, most unyielding opponent was neither a foreign power nor “fear itself.” It was the U.S. Supreme Court. When the Court’s conservative majority knocked down the pillars of the New Deal, one after another, democracy itself stood on trial. If Roosevelt was going to have any hope of changing America, he would have to find a way to overcome the Court. In 1937, he struck back with an audacious plan to pack the Court with liberals. The ensuing fight was a partisan firestorm. The battle dealt Roosevelt the biggest setback of his political life and forever split the Democratic party. But it also brought the Court and Constitution into the twentieth century. Supreme Power unfolds like a thriller. It reveals why understanding the Court fight is essential to understanding the presidency and legacy of FDR — and to understanding America in our own, contentious times. 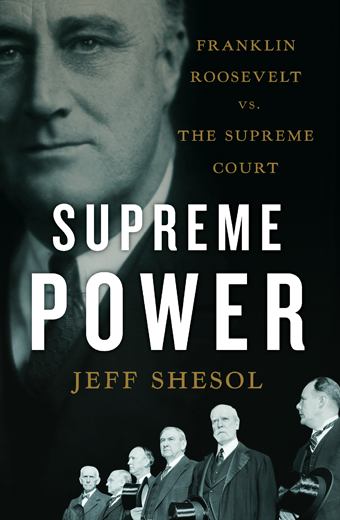 “Superb .... Shesol is a terrific storyteller, and he brings the book’s events to life by taking the reader inside the key places where the constitutional conflict took shape — the courtroom where the major decisions were announced, the smoky meetings where Roosevelt and his advisers hatched the court-packing plan, the halls of Congress where FDR’s supporters and opponents battled for legislative supremacy." “Truly entertaining ... superb .... The parallels between Obama today and FDR ... are in the zillions." “I have a simple request: Anyone who has anything to do with the Kagan confirmation, and anyone who cares about the Supreme Court and the Constitution, ought to read Shesol’s new book." “Shesol ... breathes new life into an old fight with intelligence and excitement ... one of the most interesting books about the Supreme Court in years." “Impressive .... Supreme Power is history come alive." “Riveting .... Revealing .... Supreme Power is an impressive and engaging book — an excellent work of narrative history. It is deeply researched and beautifully written. Even readers who already know the outcome will find it hard not to feel the suspense that surrounded the battle, so successfully does Shesol recreate the atmosphere of this great controversy." “Timely .... Splendid to read. 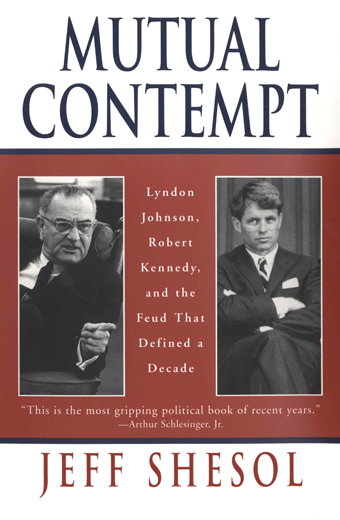 It will fascinate anyone who is interested in Roosevelt, the New Deal, the 1930s, Congress, the presidency, the Great Depression, judges, the Supreme Court, or Constitutional law." © Copyright 2018 Jeff Shesol. All Rights Reserved.